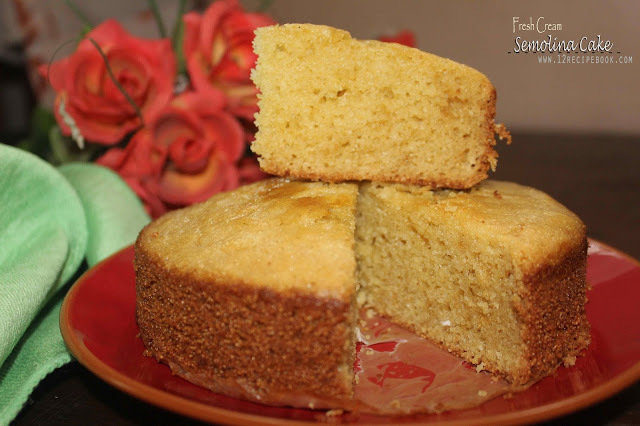 Semolina fresh cream cake is a rich and moist cake.Bake it simply and easily on stove top. The beating took only one or two minutes. 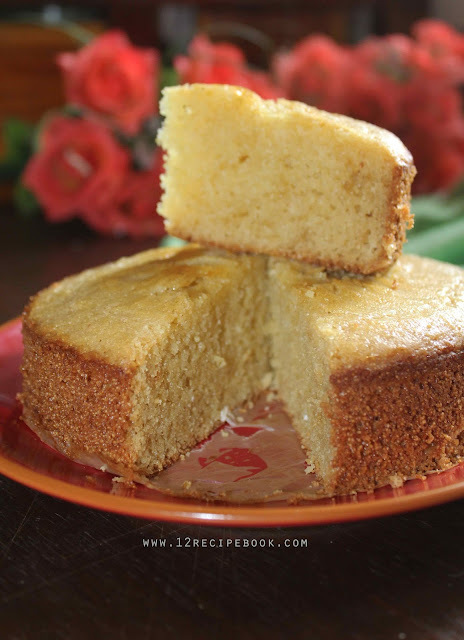 The lovely rich cake needs no dressing up and simply tastes great. In a pressure cooker add about 1 1/2 cups of salt. Place a stand on top and cover the lid of the cooker by removing its gasket and whistle. Pre-Heat on low flame until the batter gets ready. Pre-heat a 4 inch cake tray with butter or parchment paper. Sift semolina and flour separately. Keep aside. Add powdered sugar followed by melted butter, fresh cream and vanilla essence. Beat for about 60 seconds or until mixed well without lumps. Add semolina, flour, baking powder and baking soda. Beat in low speed for another a minute or until mixed well. Pour in to greased baking tray; tap for air bubbles. Place it inside the pre-heated pressure cooker and bake covered for about 45-50 minutes or until the top gets golden. Allow to cools down and cut them in to slices!